Everyone knows that if you don’t get enough sleep, your physical health is probably going to deteriorate soon after. For example, if you’ve stayed up countless night’s binge watching your favorite Netflix show, you’re probably going to come down with a cold soon. That’s just how it works out. If you haven’t been getting enough sleep, other areas of your life may be affected, such as your ability to concentrate and remember things. In addition, if you are lacking sufficient sleep, you may start to gain a few extra pounds. On the other hand, you may get your required 7-8 hours of sleep every night. 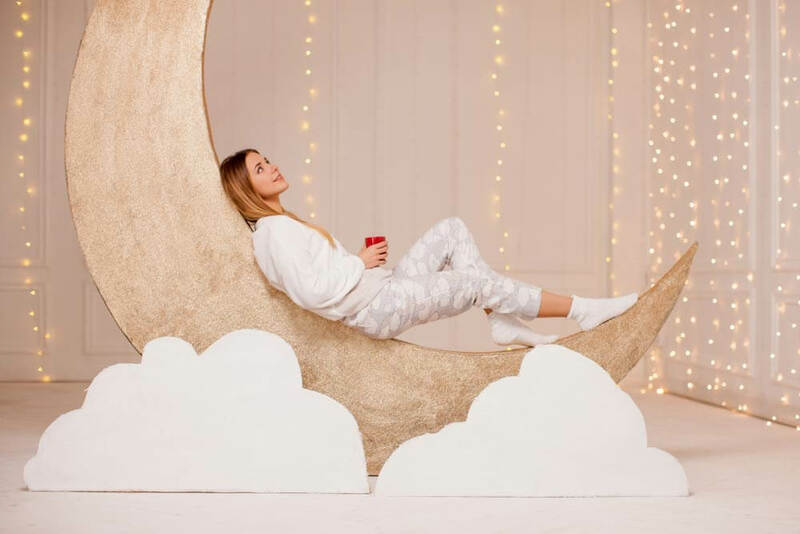 However, you may struggle to fall asleep; tossing and turning around in those sheets might just be your hobby when it comes time to fall asleep. And trust me when I say you’re not the only one that has this problem. Statistics state that 1 in 3 Americans suffers from insomnia on a regular basis. Now that I’ve told you some background information, I’m going to jump right into how I’m going to help you with your insomnia; I’m going to give you a brief detailed list of some foods that can help get rid of your sleeping problems. Start eating some of these foods and you’ll see fast results (you might even be able to fall asleep immediately tonight!). If you didn’t already know, I’ll tell you: The hormone melatonin is naturally produced in your body and it’s created as a mechanism to help you fall asleep. Though our bodies make it on a regular basis, some of us may need additional help in the department; in other words, we may need to eat some foods that have melatonin in them. An example of this would be walnuts. Try snacking on a handful of these nuts an hour or two before bed to increase your melatonin levels. The more tart, the better. Tart cherries contain enough melatonin to make you sleepy. In fact, there’s a scientific study documented and conducted in Europe where people who drank an ounce of cherry juice in the morning and before bed had approximately 40 minutes more of sleep. Salmon is filled with omega-3 fatty acids, and omega-3 fatty acids just so happen to promote deeper sleep. It’s able to promote deeper sleep by boosting the effects of melatonin on the body. If you’re not a fan of salmon, don’t worry, there are other seafood alternatives out there that help provide the same effect on the body. Examples of these kinds of seafood would be sardines, mackerel, oysters, shrimp, lobster, tuna, and cod. If you’re not a fan of seafood in general, you can swap it out for chia seeds, kidney beans, eggs, and chicken breast; they all have just about the same amount of omega-3 fatty acids in them. According to some research studies, eating approximately two and a half cups of white rice approximately four hours before bed will get you to fall asleep faster. I mean, that’s a ton of rice, so I wouldn’t expect you all to go home and start eating this amount all the time. My suggestion would be to just eat one serving of the rice (one serving is better than no serving, plus you don’t want to eat that many carbs in just one helping). The science behind this suggestion is that your body uses carbs to make the hormone known as serotonin, and serotonin naturally relaxes and calms you down. You know what everyone says when Thanksgiving comes around: Don’t eat too much turkey, or else you’ll get tired. Well, that is the truth, especially considering turkey is loaded with the amino acid tryptophan. Tryptophan is known to promote serotonin production in the body just like white rice is. If you’d like other suggestions to get your tryptophan in, lean on foods like egg whites and pumpkin seeds. According to emerging research, vitamin D seems to have an impact on your sleep, and what food has an abundance of vitamin D in it? Eggs. Science even tells us that if we don’t have enough vitamin D in our systems, we may experience sleep disruptions on a regular basis. We may also experience less sleep overall compared to those who get their recommended daily dose of the vitamin. Warm milk is generally associated with babies, and that’s why babies tend to drink the substance before going to bed (hello, they fall asleep so quick when they do). Did you know that this suggestion is actually relevant to adults, too? Milk may be known for containing the mineral calcium, but what people don’t know is that it also contains the amino acid that we talked about earlier: Tryptophan. 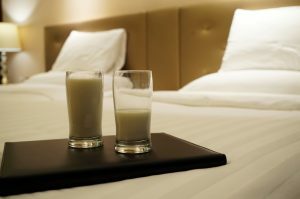 In addition to these two aspects, milk also contains a lot of vitamin D, therefore it’s extremely important to have a well-rested night of sleep. Tip: If you warm the milk up, it’ll make you fall asleep even faster. Why? Well, because if you drink a warm beverage, it’ll raise your body temperature. When this happens, your body has to work to cool itself down. The cooling itself down portion of the situation is what will make you sleepy. When it comes to sleep, these potatoes are very serious about getting you to sleep. Why is this? This is because sweet potatoes are loaded with the appropriate amount of carbs your body needs to produce sleep-inducing serotonin. Eat these potatoes for dinner and you’ll be on your way to dreamland in no time. If you want to make it even tastier than it already naturally is, go buy some cinnamon butter. You can either do that or make your own at home. The choice is yours!